“For security reasons, I cannot say which way we're going to take,” El Salvadorian Antonio Morales told Fox News. “Plus, if Mr. Donald Trump is watching, I can't tell you where I'm going to go to get into your country." The governor of Coahuila Miguel Riquelme, the state where the shelters are established, welcomed the caravan riders and provided them with food, shelter, phone calls, haircuts and health care. 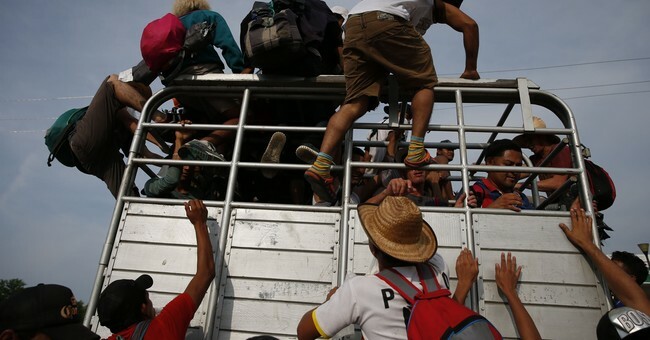 Jose Fraustro, the Secretary of Coahuila, said the caravan should have been kept along Mexico's southern border instead of allowing the riders to trek an additional 1,300 miles. Now, the riders are facing health issues and long waits to get into the United States under an asylum claim. Caravan riders have had respiratory infections and gastrointestinal conditions. There have been five cases of chicken pox, one individual with HIV and one case of swine flu.